Complementing my daily blog interviews, today’s Author Spotlight, the one hundred and thirtieth, is of non-fiction author Phyl Manning. Phyl Manning started teaching at age 16 in a rural 1-room Nebraska schoolhouse with 18 kiddies, a close “family.” After she had earned her B.A. and big-city teaching experience, she dared to try overseas international schools—and loved them! She picked venues along “paths not often taken” that afforded time and experience in and near such places as Thailand, Nepal, Sri Lanka, Malaysia, Sumatra PLUS a “vacation” in Zimbabwe. Married to another teacher, their two children were raised in West Pacific islands and are now in the U.S., both grown with (also grown) children of their own. 4. 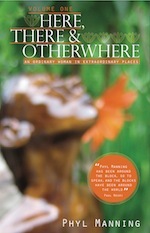 Here, There & Otherwhere, Vol. 1, narrative nonfiction (2012) which is top-listed as Finalist with International Book Awards (2012). Note: Vol. 2 of this work is scheduled to come out at the beginning of 2013. *The traditional Inupiat (Arctic Inuit) are the subject of her doctoral studies (ABD) in cultural anthropology, and she has researched these people for 30+ years. I have spent much of my adult life trying to rectify that failing. I traveled. Not wealthy, I looked for (and found) work in faraway places. Where most Americans aspiring to go overseas favor Europe, I looked for service in places not necessarily well known and having cultures and settings far different from my own beginnings in South Omaha, Nebraska. My children grew up on islands in the West Pacific; I feel as if I myself were “born” on the island of Saipan at age 30. I love the Inupiat of Tradition, a people I’ve studied (through doctoral work in cultural anthropology) for the past 3+ decades, always vicariously—since we of the U.S. and Canada have in the last fifty years busily “civilized” members of this graceful 5,000-year-old culture. But one childhood-until-now and abiding deep-seated and largely informal interest is international wildlife. And my most recent book, Here, There & Otherwhere, is largely on this latter subject. Spend with me the night before Christmas—all of it!—on a forest machan alone in Southern Nepal, waiting for a tiger but appreciative of other creatures stopping by. Skin dive in a coral basin to make friends with a gargantuan conger eel—or support on the windward side of that island the torso of a distinguished deep-sea photographer who cannot swim. Share citrus with a tiny Tibetan child. Or accompany as “cook” (God help them!) a dozen aspiring junior-and-senior high school student entomologists to go up into Thailand’s (still not thoroughly explored) Khao Yai (big forest) on a Predator-to-Prey Count . . . and more. Now “retired,” I have both the time and gusto to write about these and other unusual experiences, often in unlikely places. You’d be surprised, Dr. Clark. I am. What motivation! Thank you, Phyl. 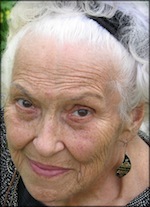 You can find more about Phyl and her writing via her website http://www.phylsbooks.com. The blog interviews will return as normal tomorrow with non-fiction author Jonathan Ledwidge – the five hundred and thirty-first of my blog interviews with novelists, poets, short story authors, biographers, agents, publishers and more. A list of interviewees (blogged and scheduled) can be found here. If you like what you read, please do go and investigate further. And I enjoy hearing from readers of my blog; do either leave a comment on the relevant interview (the interviewees love to hear from you too!) and / or email me. You can sign up to receive these blog posts daily or weekly so you don’t miss anything. You can contact me and find me on the internet, view my Books and I also have a blog creation service especially for, but not limited to, writers. Unfortunately, as I post an interview a day (amongst other things) I can’t review books but if you have a short story or self-contained novel extract / short chapter (ideally up to 1000 words) that you’d like critiqued and don’t mind me reading it / talking about and critiquing it (I send you the transcription afterwards so you can use the comments or ignore them) 🙂 on my ‘Bailey’s Writing Tips’ podcast, then do email me. They are weekly episodes, usually released Monday mornings UK time, interweaving the recordings between the red pen sessions with the hints & tips episodes. I am now also looking for flash fiction (<1000 words) for Flash Fiction Fridays and poetry for Post-weekend Poetry.